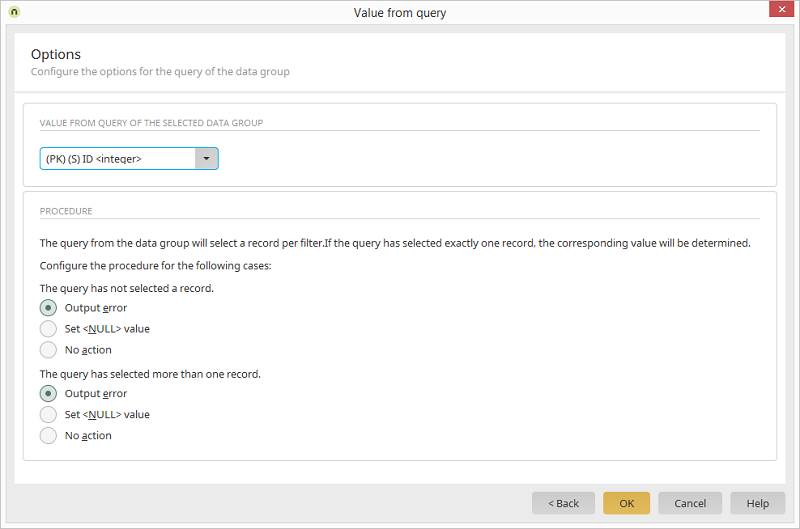 Processes module Data group action Properties Field assignment / Value from query Select a data group / Click on "Next"
Select the return value of the query here. If errors occur, this options means that a error message will be added to the portal log file. The portal.log file can be found in the portal directory /log. Writes a null value to the mapped data field. The query result is ignored with this option. If the return value is a role from the User Manager, user information, like names or email addresses, are not available.